Discover Axinom VIP and bring your content to the world! 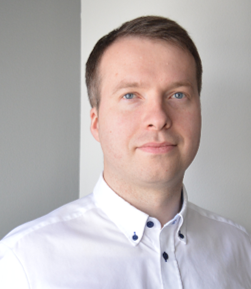 Axinom Video Ingest and Processing (VIP) was developed to solve the requirement of fast and simplified packaging of premium video content for on-board entertainment systems in aircrafts (IFE), trains (OBE), and busses (OBE/CES). Having the latest Hollywood movies prepared in time for on-board entertainment is vital for every service provider. Unfortunately, licensing agreements for premium content used by Hollywood studios require an MPAA-grade pipelines for encoding and packaging. This is a complex and costly challenge which is not easy to solve for a majority of service providers. Axinom VIP is a solution for this challenge. Customers and service providers can integrate Axinom VIP into their existing workflows with Axinom VIP on-premises or using managed Axinom VIP cloud deployment to deliver best movies faster and more easily to the passengers. 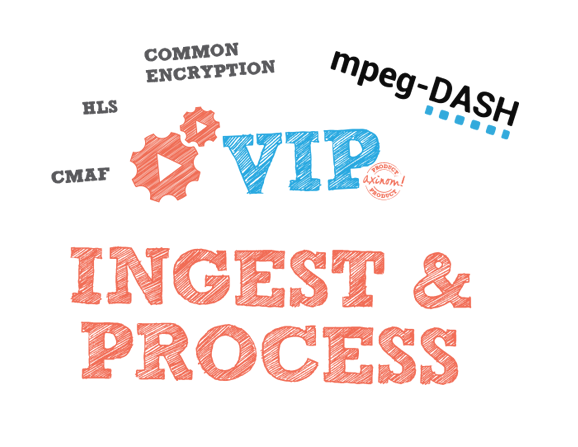 Axinom VIP brings MPEG-DASH to most important devices used by your customers. Android and iOS, HTML5 web apps are supported. For content protection we apply Common Encryption (CENC) with PlayReady and Widevine – both technologies belong to Axinom DRM product and are seamlessly integrated with Axinom VIP. Should you still have doubts or requirement for fallbacks, let’s include Smooth Streaming or HLS where needed. CENC with PlayReady and Widevine will do most of the job and FairPlay helps you reach also Apple ecosystem natively. All three belong to Axinom DRM product which is seamlessly integrated with Axinom VIP. Axinom VIP enables a single video format for all platforms supporting MPEG-DASH with CENC wholeheartedly. Together with different players we are able to bring MPEG-DASH to most important platforms reducing the need for different container formats and DRM systems – especially useful for more and more popular BYOD scenarios. Together with Axinom DRM you can provide secure life cycle to all your valuable assets. Why choose Axinom VIP for your content? For performance and scalability, Axinom VIP supports zero-downtime maintenance and distributed cloud-deployment. For on-premises needs Axinom VIP can run also offline. The delivery and presentation of premium video content involves many factors, of which video encoding is merely one. Axinom is an end-to-end solution provider who partners with various companies to fulfill all the different aspects of a project, enabling the final result to be tailored specifically for your needs. We are able to integrate both in-house products, custom developed code and third party components into a solution, always taking into account the optimal path towards your goals. Although it can run on-premises, Axinom VIP is built for the cloud. Even in case of large catalogs, VIP can spin up needed amount of instances to process 10 or 1000 movies in parallel to ensure your viewers get fresh content as fast as possible. And you pay just for what you use – no need to keep unused resources on stand-by, burning money. In addition Axinom’s administrators keep the service running for you and maintain it without you even noticing it. Customers using Axinom VIP together with Axinom DRM can be sure to receive faster approval by premium content providers. 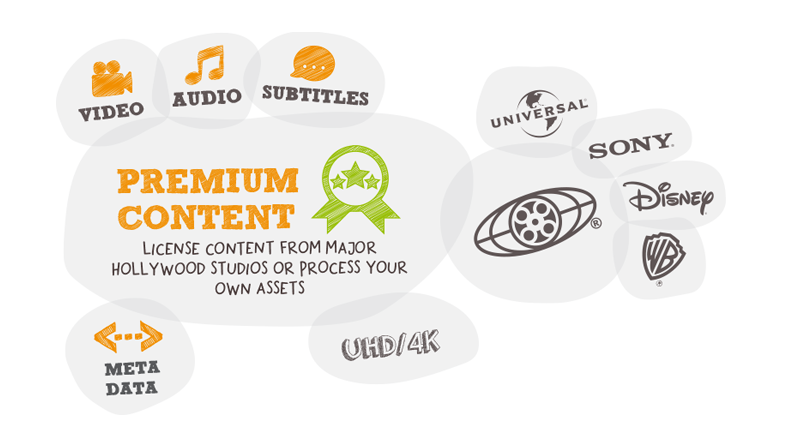 MPAA-grade security allows content owners to be sure their assets are kept safe during the whole processing time. In the end this translates into faster time to market with reduced costs. Whether you are building up a fresh service with no existing content processing pipeline or just need to refresh content packaging in existing facility and support modern standards – Axinom VIP can be the right product. Use it in the cloud and leave all maintenance to Axinom or run it on-premises. Axinom has experience integrating different DRM-capable players into modern multi-platform solutions and can offer any relevant app development, consulting and integration. A thorough research and player comparison effort are usually desired, leading to a proof of concept with the most favoured player. With Axinom VIP-processed content, it is much easier to ensure compatibility and good playback quality on many devices. Due to long approval processes and costs related to bringing best movies, TV shows, and documentaries to passengers, many entertainment system providers renew their content too rarely and can’t allow latest blockbusters on board. Axinom VIP reduces significantly technical challenges related to content preparation and distribution. It is easier than ever to offer your passengers what they deserve – the best! With Axinom VIP, it has never been easier to offer your passengers the best entertainment on any device and platform. Axinom products enable content and service providers to embrace the full power of a professional development platform without huge upfront investments with attractive subscription licensing opportunities.